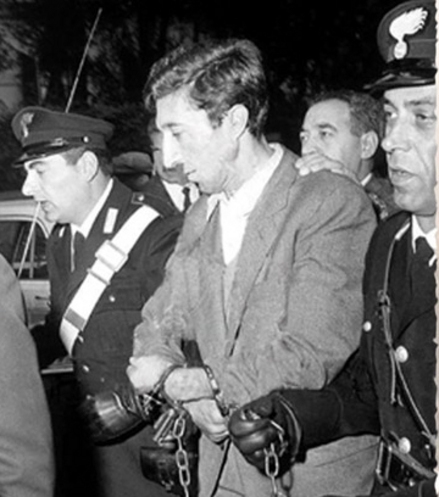 A new article by Dr Marco Paoli (Italian) examines metropolitan neo-gangsterism and the lure of capitalism in Carlo Lizzani’s 1968 film Banditi a Milano (Bandits in Milan/The Violent Four). The film is a portrayal of the infamous Cavallero gang: it shows how their initial political frustration evolves over time, with the proletarian rebels turning into ‘managers’ of violent criminal organizations – something that underlines the influence of capitalist values and strategies. Dr Paoli argues that the film reflects the escalation of criminal violence in the post-economic miracle period of Italian society. At this time criminals became increasingly ‘business-like’: their greed for money and success meant that gangs became more organized and efficient. Congratulations to Dr Robert Blackwood (French), who has been appointed as a National Teaching Fellow by the Higher Education Academy. The Fellowship is the most prestigious UK award for excellence in higher education teaching and support for learning. The awards will be given at a ceremony in London on 5 October. The HEA recognises excellence in higher education teaching and support for learning, and these awards are given for innovative practice. Dr Blackwood received the award in particular for his work developing an online private social network to support students on their year abroad. You can read the full citation for his award here.